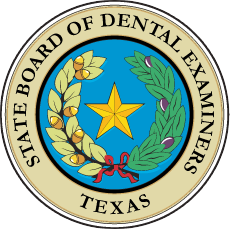 The Texas State Board of Dental Examiners (TSBDE) is subject to abolishment on Sept. 1, 2017, under the Texas Sunset Act, unless continued by the Texas legislature. In January 2017, the Texas Sunset Advisory Commission, after receiving public testimony on its original report outlining changes to the TSBDE, released a second report revising its recommendations. Continuing the TSBDE for 12 years. Reducing the size of the TSBDE from 15 to 11 members. Prohibiting a dental assistant, unless the dental assistant is properly registered, from making a dental x-ray or monitoring the administration of nitrous oxide. Authorizing the TSBDE to conduct risk-based inspections of dentists administering anesthesia in office settings. Clarifying the TSBDE’s authority to regulate parenteral—or intravenous—anesthesia, in addition to enteral—or oral—anesthesia. Requiring the TSBDE to ensure that dentists with an anesthesia permit maintain written emergency management plans and establish minimum emergency preparedness standards before administering anesthesia. Requiring the TSBDE to query the Texas Prescription Monitoring Program for potentially harmful prescribing patterns among its licensees. Requiring dentists to review a patient’s prescription history before prescribing certain drugs. Sunset works by setting a date on which an agency is abolished unless the Legislature passes a bill to continue it. Sunset staff evaluates the agency and issues recommendations for positive change. The Commission considers the recommendations, hears public testimony and decides on a package of changes to bring to the full Legislature.